This is a stock photo of a Smart, not the actual stolen one. Damn tweens today, thinking it’s a good idea to steal a Smart Car. 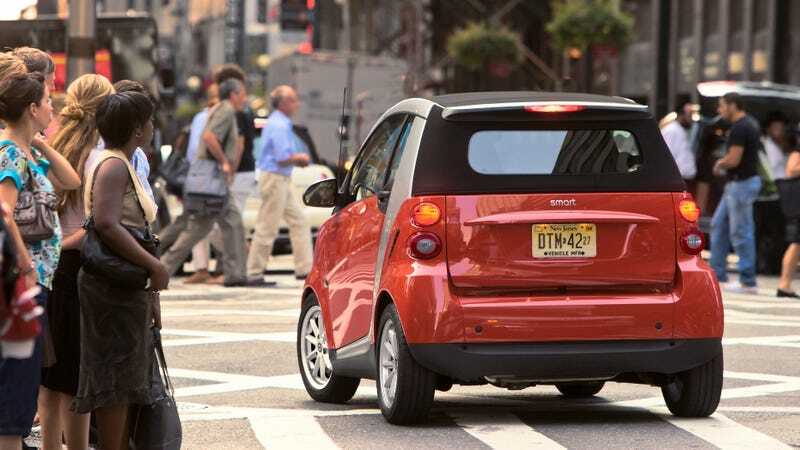 Police in San Francisco’s Bayview area tracked a stolen Smart Car and only after pulling it over did they realize that the drivers were only 12 and 13 years old, SF Gate reports. The Smart was stolen from a local high school after someone left the keys in the ignition by accident. The 13-year-old, who was unnamed, was actually arrested and booked for his role in the theft. What’s slightly more troubling was the fact that a fake gun was found by police in the car. Police won’t say if the tweens were planning the world’s worst armed robbery, but they doubt the fake gun had any role in their short-lived crime spree.